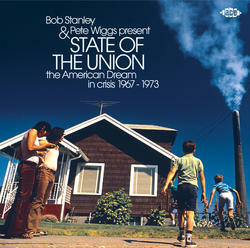 By mid-1968 there was a growing consensus that something had gone horribly wrong with the American dream. The nation's youth had loudly made their feelings clear, but now the older, pre-Beatles generations began to look at the country - with urban riots, Vietnam, and the assassinations of Martin Luther King and Bobby Kennedy - and wonder what the hell was happening. This album includes rare classics (The Beach Boys' 'Fourth Of July'), lost masterpieces (Roy Orbison's seven-minute 'Southbound Jericho Parkway'), and forgotten gems by some of the biggest names in the business (Elvis Presley's 'Clean Up Your Own Back Yard').